I live in the Philippines and its history interests me. On the 26th Feb. 2018 friends and I visited the province of Bulacan. Our first stop was the Biak-na-Bato National Park. Obliviously it is a large site and we only checked on the location, because we had other goals. But we made these few images at the entrance area. The Republic of Biak-na-Bato (Tagalog: Republika ng Biak-na-Bato, Spanish: República de Biac-na-Bató), officially referred to in its constitution as the Republic of the Philippines (Tagalog: Republika ng Pilipinas, Spanish: República de Filipinas), was the first republic ever declared in the Philippines by revolutionary leader Emilio Aguinaldo and his fellow revolutionaries. Despite its successes, including the establishment of the Philippines’ first ever constitution, the republic lasted just over a month. It was disestablished by a peace treaty signed by Aguinaldo and the Spanish Governor-General, Fernando Primo de Rivera which included provision for exile of Aguinaldo and key associates to Hong Kong. This is the Wikipedia URL, click here. Zc022. 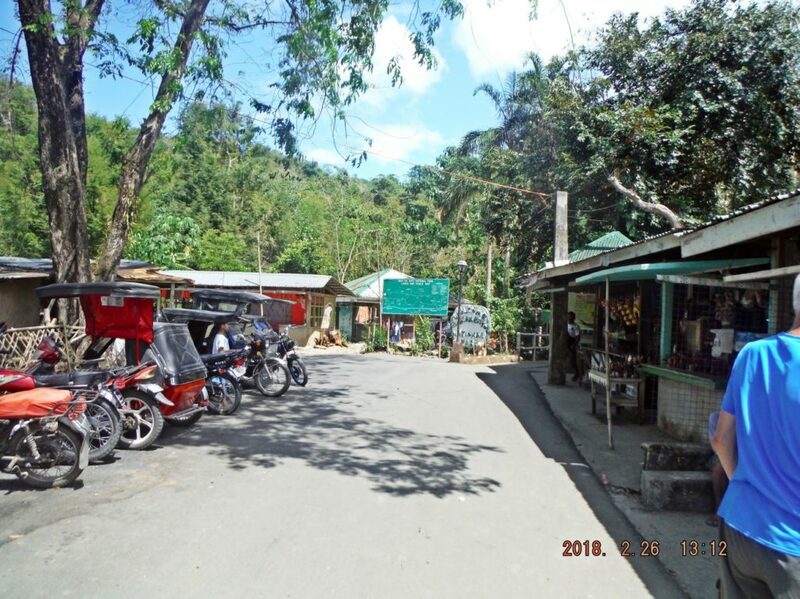 This picture is the entrance area of the Biak-na-Bato National Park in San Miguel Municipality in the Bulucan Province, on the 26th Feb. 2018. Zc023. This is the actual entrance to the Biak-na-Bato National Park in San Miguel Municipality in the Bulucan Province, on the 26th Feb. 2018. Zc024. 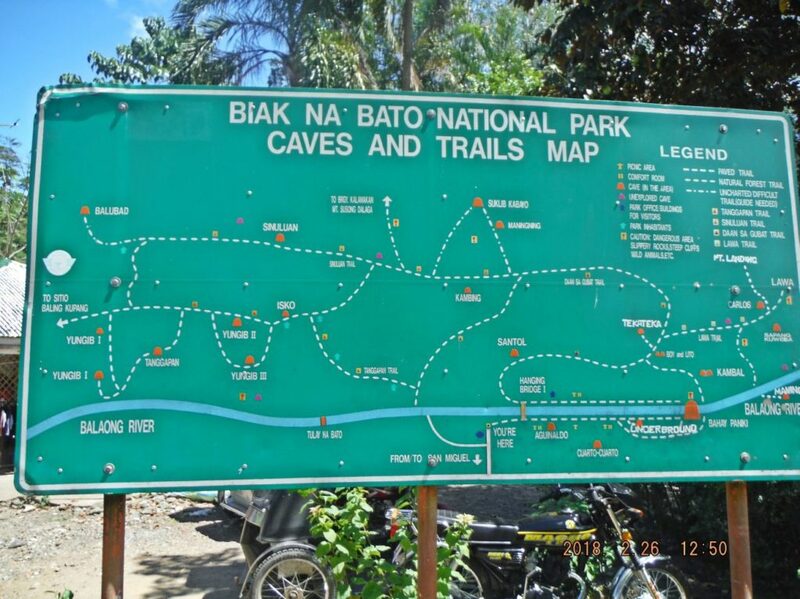 This Biak-na-Bato National Park Caves and Trails Map is located at the entrance to the Biak-na-Bato National Park. It is a very large area, one needs at least one day to explore it and guides are available. We engaged one knowledgeable guide who was also very proud of his history. Because we had other goals we only made this a lunch stop on our trip to explore Bulacan Province. Zc025. 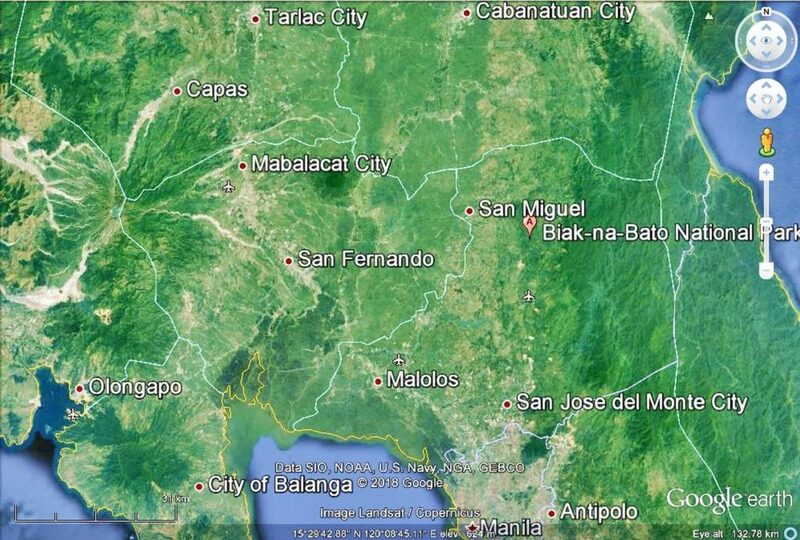 The big picture from Google Earth as to where Biak-na-Bato National Park is located. Zc026. 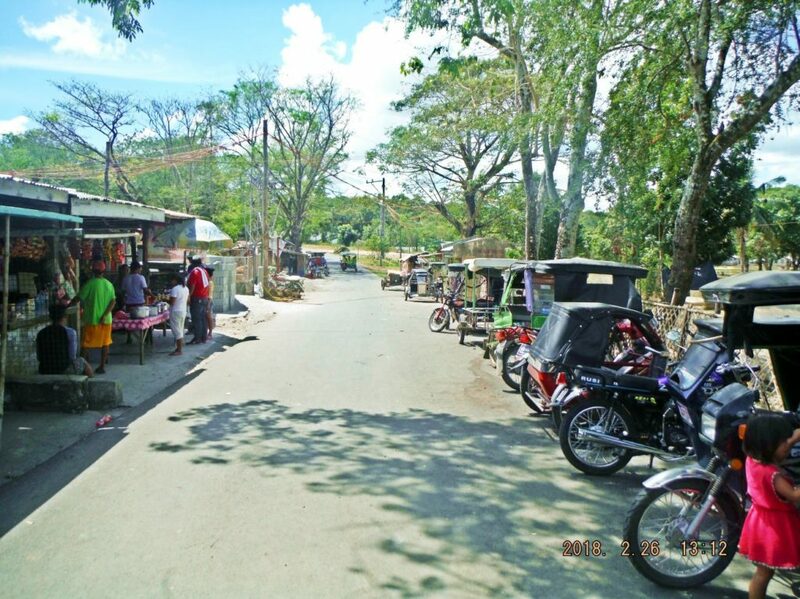 This picture is the entrance area of the Biak-na-Bato National Park in San Miguel Municipality in the Bulucan Province, on the 26th Feb. 2018. That is the direction we came from. Zc027. My friend Charlie is a very old Philippine Sailor hand, we served together on 4 different duty stations in the Pacific. 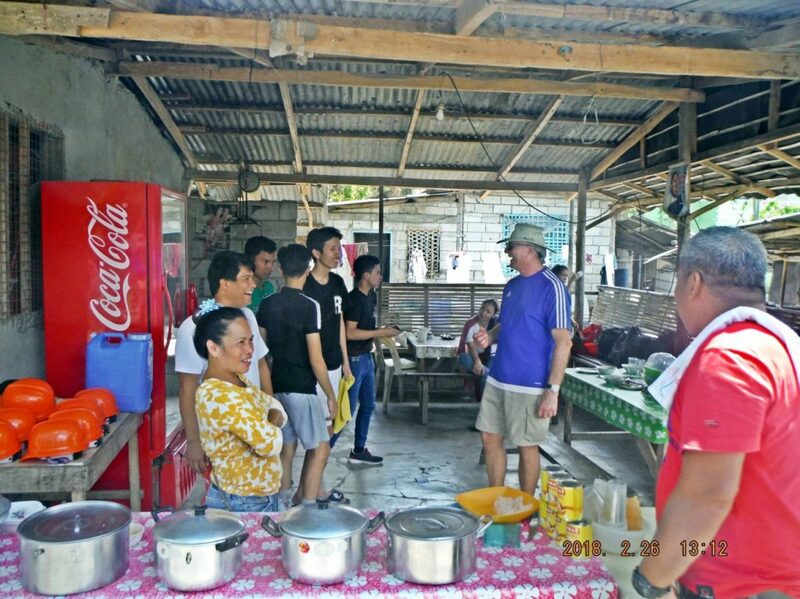 He enjoyed very much engaging our Filipino Friends at the entrance area of the Biak-na-Bato National Park in San Miguel Municipality in the Bulucan Province, on the 26th Feb. 2018. He enjoyed his chicken meal also! Zc028. We enjoyed engaging this group of students in conservation about the Philippines. I was glad to see this group of students come up all the way from Manila to the NE corner of Bulacan to study their history. 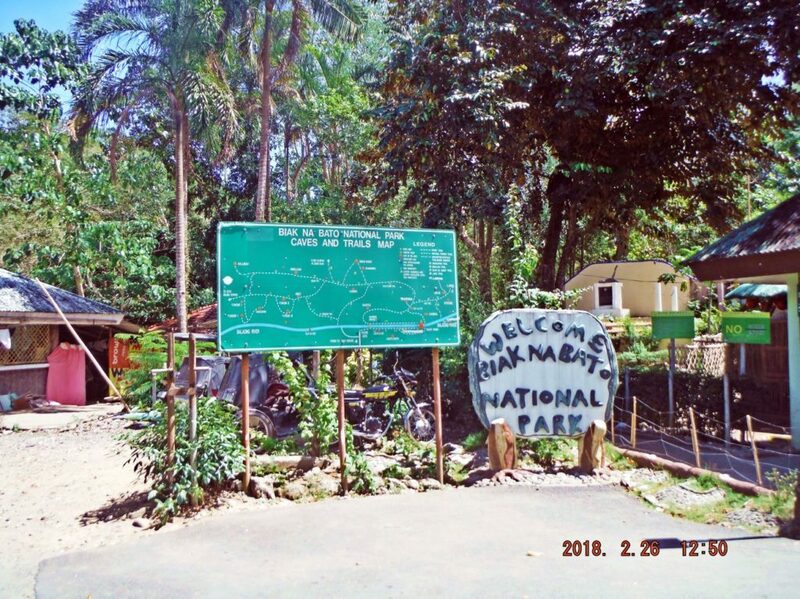 This is the entrance area of the Biak-na-Bato National Park in San Miguel Municipality in the Bulucan Province, on the 26th Feb. 2018.